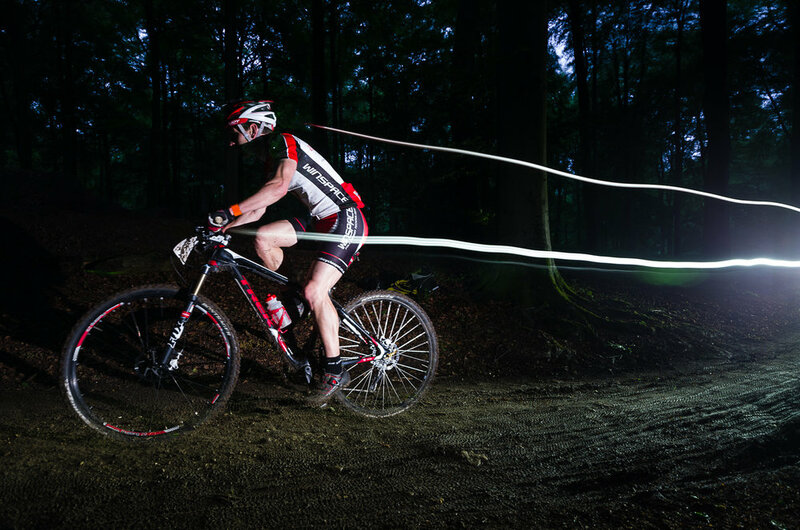 Taken at Mountain Mayhem, a 24 hour mountain bike race. Night had just fallen, this chap still has a long way to go. Nice and right for an ad of this race.